Chargers charge into London – What have they got to say? With under a week to go before the San Diego Chargers take on the New Orleans Saints at Wembley NFLFANINENGLAND has some great interview footage below. I wont claim any credit for any of the interviews below, but seeing as I am sure you will want to read as much as you can with the Chargers and the Saints under a week away, here is three transcripts from earlier today. These interviews are courtesy of the fantastic San Diego Chargers PR staff. Thankyou all. How do you treat this week as far as curfews and free time and things for the players? When they’re at home, do they have a curfew? You were scheduled to practice today. Why did you decide not to go on the field? Have you had a chance to watch the tape from Buffalo ? What are your thoughts about it a day later? What are your feelings about playing in London ? Last year’s Giants-Dolphins game was played in the rain and was low scoring. Do you think with conditions being different, scoring may be higher this time? What do you expect from the crowd, with it being not just Chargers and Saints fans but a mix of NFL fans? When were you in London before? With the fans not really aligned with either team, how do they react? With the way the season has gone for the Chargers, does this trip come at a good time? 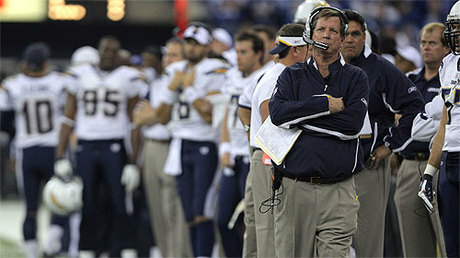 How did you react when you found out the Chargers were going to play in this game? 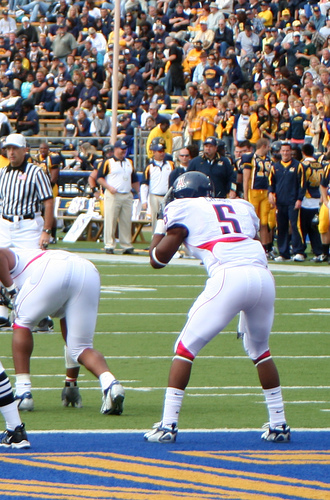 What type of advantage is it to take one of your road games and play it at a neutral site? What is your reaction to traveling to London and seeing your surroundings? Is this trip a good escape? Why couldn’t the defense get pressure on the quarterback (Trent Edwards)? What are you looking forward to the most to see while in London ? What are your thoughts on Wembley Stadium? 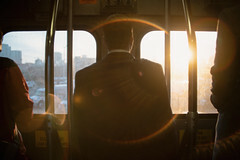 Do you have any plans to go into the City? What are your thoughts on going against Drew (Brees)? What do you think about what’s he’s done in New Orleans ? Are you happy Drew’s had success? Is this your first trip to London ? Are you excited to see anything in particular? What do you think of the Pennyhill Hotel? You came out this summer to promote this game. What’s been the difference from what you saw during your first trip? What did you do during your summer trip? What was the sense you got from people here about their interest in the game? Were your teammates asking you what to expect once they arrived? Is there an added importance for you to perform because you are serving as an ambassador for the NFL? How do you feel about seeing Drew Brees on the other side? When you guys were drafted on the same day, did you think you and Drew would spend your whole careers together? Are you happy to see the success he’s had? What do you think of Wembley Stadium as a venue for an NFL game? What kind of atmosphere do you expect? Aren’t you used to a crowd that acts one way on offense and another when you’re on defense? When you were here this summer, did you have some anonymity or were people still recognizing you and stopping you? Sunday’s game is a night game here. Do you enjoy playing at night more? Now that you’re here being 3-4, is this a good time in the season for the trip? You don’t think it was a coincidence that the Giants won the Super Bowl after coming to London ? Just 72 rushing yards against Buffalo . What’s your reaction to that? Just an observation or maybe a prophecy? I believe that Drew Brees the New Orleans Saints gunslinger CAN beat Dan Marino, the former Miami Dolphins quarterback’s sing season passing yardage record. In just six games Drew Brees has aired it out for an incredible 1,993 yards. That is an average of 332 yards a game, which extrapolated over a 16 game regular season would equate to 5,314 yards. Dan Marino’s phenomenal 5,084 yards in 1984, only his second season in the league, is a record that has held firm for almost a quarter of a decade. Back then Marino led his team to a 14-2 record and an appearance in Superbowl XIX (an eventual loss to a Joe Montana led 49ers team) by passing to the Marx Brothers (wideouts Mark Duper and Mark Clayton) veteran Nat Moore and the likes of Tony Nathan and Dan Johnson (te). In that season Marino averaged 317 yards passing a game, and his season included 7 300+ yard passing games and 3 400+ yards passing games. In fact the Fins lowest passing output was 183 yards in a win against bitter division rivals the New York Jets. Brees has had his fair share of bad luck regarding his supporting cast in 2008 with injuries to stud wideout Marques Colston, veteran wideout David Patten, and tattoo’d tight end Jeremy Shockey. Brees has got the deep threat covered with Devery Henderson, who has an insane 32.1 yards a catch, he also has an impressive support wr stepping up in a big way in the shape of Lance Moore. I think Brees has the surrounding talent to pass for 5,200 yards in 2008 and break Marino’s record. 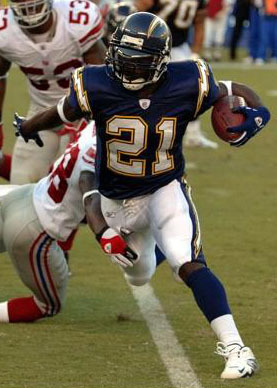 We in the UK have the pleasure and the honour of watching Breestake on the San Diego Chargers (the team that drafted Brees from Purdue in 2001). Teams that come and play in London at Wembley tend to struggle to adapt to the cold weather and the rather neutral fan base, but we could be in for something pretty special as Breesgoes after the rather poorly performing Chargers pass defense. Lets hope for everyone’s sake that the game features more that just two touchdowns (as was the case when the Giants beat the Dolphins in 2007 at Wembley). We could be witnessing in London one chapter (chapter 8 of 16) of the book that crowns Drew Brees the single season highest passing yards champion. Wouldn’t that be something swell to tell the grandchildren, and if it does happen, it could be a record to stay for another 25 seasons. 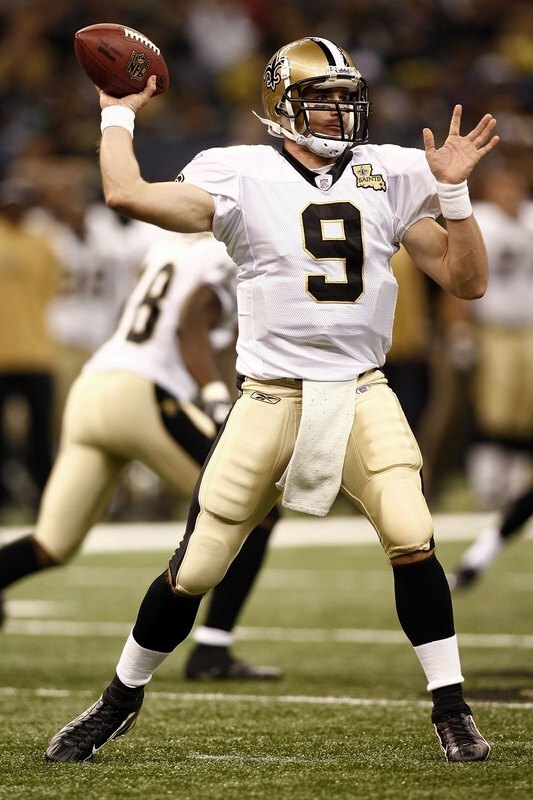 I think he can do it – do you think Brees can break Marino’s record ?……. Can any non-NFL fan in the UK recognise Ladanian Tomlinson? How many non-NFL obsessives in the UK can name this man ? Judging by the NFL marketing effort for the London game just two weeks away - not many. 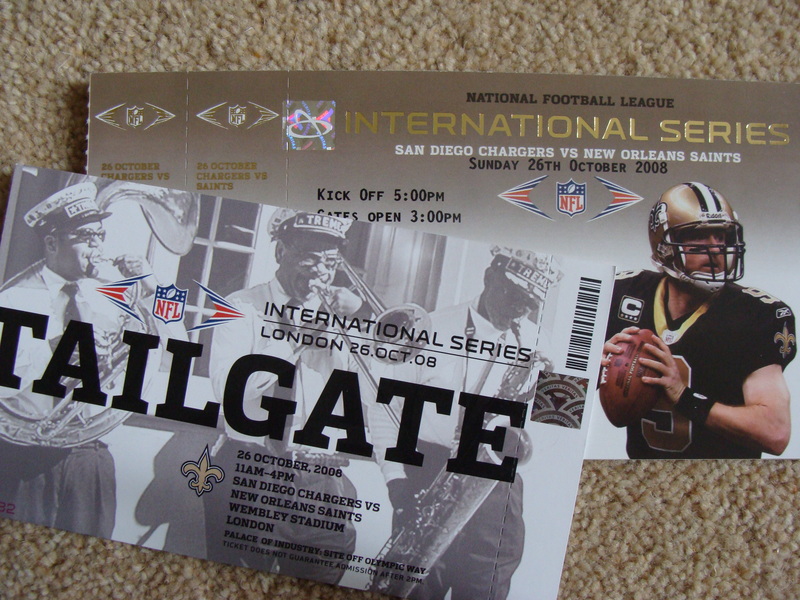 I have a few observations with just over two weeks before the San Diego Chargers play the New Orleans Saints in London, England …..
As a registered NFLUK member I seem to keep getting emails saying that tickets are still available, whether it is returns or TicketMaster just magically finding the odd billet down the back of their proverbial sofa. I get the feeling this game is not going to be a sell out, just like last year when there were large sections near the field that were covered in a tarpaulin and used to advertise products. I also spend some of my day job reading UK newspapers and magazines (I am a press officer so it’s legit!) and I am certainly hard pressed to find articles on the Chargers players, the Saints players or any reference to the NFL. We suffered badly in the UK last year when the only weekly American Football magazine in Europe ceased to exist. No-one has taken up the baton to produce an American Football newspaper or an American sports magazine. Yes we can buy a sanitised ‘European’ version of USA Today, and if you are lucky enough to live in a big town like London or Birmingham you can pick up ESPN magazine or the Sporting News at Borders in a shopping centre, but the copies are next to useless as they are at least two weeks to a month old. 1) How many of the tickets allocated for the game were actually sold to real fans and how many were allocated by the NFL as corporate freebies to advertisers, journalists and general corporate spongers? 2) Have the NFL conducted thorough research to engage with new fans ? I would put money on more than 750 in 1000 people interviewed randomly on Oxford Street in London or New Street in Birmingham not being able to fill in the blank ….Name the team The San Diego ________? The New Orleans ______? Don’t get me wrong I love the NFL and I will love being at the game, I just question what is being done to actively promote the NFL to people outside London ? Not a fat lot from where I am sitting. Any thoughts let me know…………………..
With just one game gone in the season it’s hard to tell who are the contenders and who are the dead-enders. It was a really wild start to the season for both the London bound teams and the ideal way to begin my series of weekly updates on the London bound New Orleans Saints and the San Diego Chargers. 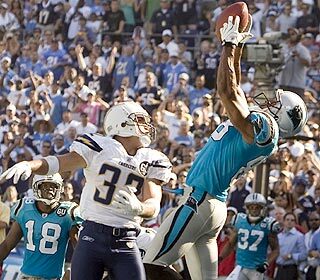 At Qualcomm stadium you could have heard a pin drop when Jake Delhomme took a rather high snap, avoided the pass rush pump faked and then hit Dante Rosarioin the endzone as the Carolina Panthers stole a 26-24 win against the Chargers in California. Elsewhere in Louisiana Saints linebacker Scott Fujita grabbed a bullet pass from Jeff Garcia in the final minute of the game to seal a tough 24-20 victory against the Tampa Bay Buccaneers. ♥ Deuce McAllister did not play, and without his bruising style the Saints running back combo of Reggie Bush and Pierre Thomas failed to make a big impression on the ground. Reggie Bush did have a fantastic game with 8 catches for 112 yards and a score. Lets face it Bush can catch dink and dunk passes all day long and just kill teams – he could catch 150 passes legitimately in a single season. 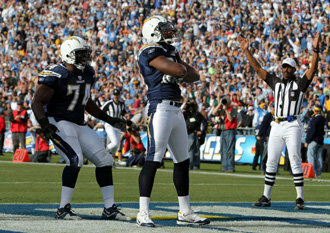 In summary both teams showed that they can compete, but they will win games with their offense more than their defense. With 7 weeks until Wembley I cannot wait. 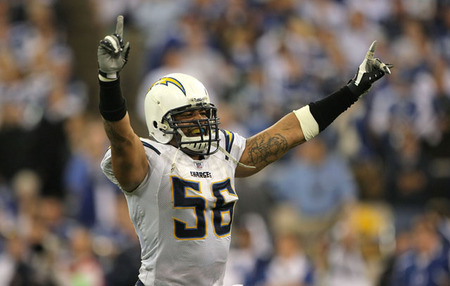 What was YOUR first impression of the Chargers and the Saints in Week 1? ………………. With under three months to go until the San Diego Chargers take on the New Orleans Saints at Wembley Stadium, in the second regular season NFL game to take place in Europe, I felt now is a good time to look at the prospects of the Saints and the Chargers first round 2008 rookie picks. Ellis comes into a Saints defensive that was 13th overall in the NFL against the run in 2007, but its the pass defense that was awful last season finishing 30th out of 32 teams, giving up a league worst 7.9 yards a pass. The defensive tackles clogging up the running lanes for the Saints in 07 included old warhorse Hollis Thomas (5o tackles and 3 sacks), Brian Young (who made just 18 tackles in 8 starts) and Antwan Lake (whoooo ? – well he started 7 games and had 18 tackles). Not exactly an all-star lineup you must agree. Ellis will be an immediate upgrade and will be pushing to get in the starting lineup from the opening snap of pre-season. 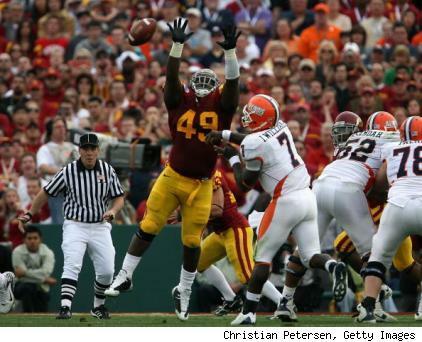 Ellis was a monster at USC in 07, with 8.5 sacks and a reinforced shelf full of awards. Whilst his height and weight are not prototypical of a dominating defensive tackle Ellis has the motor of a transatlantic cruise liner, and is an excellent fit for the Saints. I’m not convinced that every fan inside Wembley Stadium in October will fully appreciate the skills of Ellis in the middle of a mud filled trench war, but I will be straining my eyeballs towards number #98 when the game begins. 3 tackles and a sack would be a fantastic day out for Ellis in London. The Chargers were just one game away from the Superbowl, but two Tom Brady touchdown passes were enough to kill San Diego’s prospects of a second Superbowl appearance. What does Coach Norv Turner do to immediately address the problem – he got rid of Drayton Florence and upgraded to Antoine Cason, to go alongside 2007 All World corner Antonio Cromartie. Cason had 253 tackles and 15 interceptions as a Wildcat in the desert, quite impressive stats for a cornerback. At Wembley in October Cason will be going up against the likes of Devery Henderson, David Patten, Robert Meachem or even Jeremy Shockey, which will be a stern test for Cason. Rookie cornerbacks can often be picked on and by mid-season it will become apparent if Cason is going to sink or swim. With a father and two cousins that have already played in the NFL Cason will have the bonus of years of advice and guidance about being a professional athlete. Being a first round pick there will be expectations by coaches and fans that Cason will be game ready from game one. My prediction for his game in London – 2 tackles and one pass defended, and one huge mistake.